You can manage user accounts and permissions from your personal space. 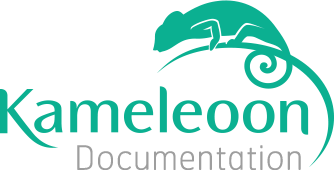 Log in to https://back-office.kameleoon.com. This page allows you to manage your user accounts and their permissions (Admin, technical, marketing and production). Click on the "Add a user account" button to create a new user account, to which you can give full or restricted access to your Kameleoon account. To manage the permissions of this new user or any other user already created, go to the bottom of the page. Kameleoon offers an advanced management of permissions. Please refer to the table below to understand the differences between each available permission. As super admin, you can manage all user accounts. You can create, delete or edit any user account and change any information: name, password, email address and permissions. For each account, choose if the user can be “Super admin” or not.